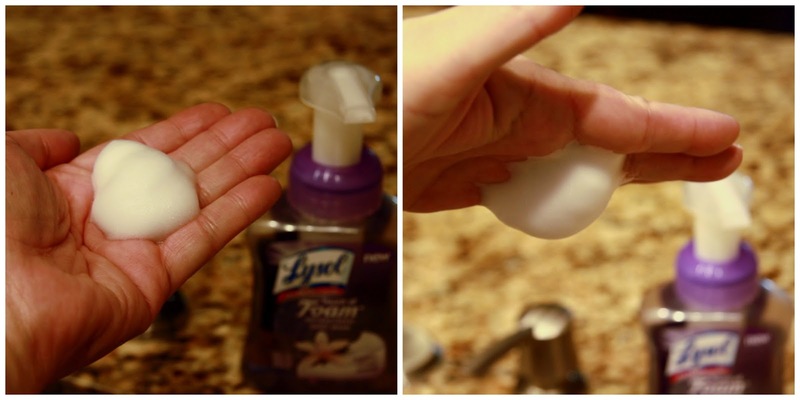 I'm taking a break from crafting to review this new product from Lysol and I wanted to share the results with you! The dual effect of the rich lather is soft on skin, yet hard on germs, leaving your hands feeling so luxurious, you’ll want to wash them more often. I am sampling the Creamy Vanilla Orchid, and I have to say, it's fabulous! It smells wonderful, and it is not as drying as other soaps can be. It really is creamier; not as bubbly and full of air as other foam soaps. Right now the sample is in my kitchen, where hands seem to get washed continually! Even my boys (15 and 10) like the soap, probably because it has a nice overall scent -- nothing too feminine. Another cool thing is that Lysol® started their "Mission for Health." They state: "With new mom programs, healthy habits initiatives in schools and disaster relief efforts, the company is dedicated to doing more for everyone’s health. The mission is fueled by passion and backed by their expertise in killing germs. So when you use Lysol® at home, you’ll know you’re a part of something bigger. For healthy hands and more, visit lysol.com/mission-for-health." Gotta love that, right? This product could definitely become a staple in my house. This review is a result of a free sample that I received from BzzAgent.com as a BzzAgent. I am not required to provide a positive review.